Araoka, Toshikazu, et al. “Efficient and Rapid Induction of Human iPSCs/ESCs into Nephrogenic Intermediate Mesoderm Using Small Molecule-Based Differentiation Methods.” PloS one 9.1 (2014): e84881. Diederichs, Solvig, and Rocky S. Tuan. “Functional Comparison of Human Induced Pluripotent Stem Cell-Derived Mesenchymal Cells and Bone Marrow-Derived Mesenchymal Stromal Cells from the Same Donor.” Stem cells and development ja (2014). Hirata, Nao, et al. “A Chemical Probe that Labels Human Pluripotent Stem Cells.” Cell reports 6.6 (2014): 1165-1174. Kimbrel, Erin A., et al. “Mesenchymal stem cell population derived from human pluripotent stem cells displays potent immunomodulatory and therapeutic properties.” Stem cells and development ja (2014). Koh, Sehwon, and Jorge A. Piedrahita. “From "ES-like" cells to induced pluripotent stem cells: A historical perspective in domestic animals.” Theriogenology 81.1 (2014): 103-111. Morishima, Tatsuya, et al. “Genetic correction of HAX1 in induced pluripotent stem cells from a patient with severe congenital neutropenia improves defective granulopoiesis.” Haematologica 99.1 (2014): 19-27. Takahashi, Daisuke, et al. “Electroporation of Adherent Cells by Direct Lamination of Hydrogel-Based Microelectrode Substrates.” Chemistry Letters 43.4 (2014): 444-446. Haraguchi, Yuji, et al. “Simple suspension culture system of human iPS cells maintaining their pluripotency for cardiac cell sheet engineering.” Journal of tissue engineering and regenerative medicine (2013). Hayakawa, Kazuo, et al. “Identification of target genes of synovial sarcoma-associated fusion oncoprotein using human pluripotent stem cells.” Biochemical and biophysical research communications 432.4 (2013): 713-719. Hitomi, Toshiaki, et al. “Downregulation of Securin by the variant RNF213 R4810K (rs112735431, G> A) reduces angiogenic activity of induced pluripotent stem cell-derived vascular endothelial cells from moyamoya patients.” Biochemical and biophysical research communications 438.1 (2013): 13-19. Hongisto, Heidi. “Fibroblast feeder cells in human pluripotent stem cell culture and retinal differentiation-progress toward clinical cell therapy.” (2013). Horii, Takuro, et al. “Generation of an ICF syndrome model by efficient genome editing of human induced pluripotent stem cells using the CRISPR system.” International journal of molecular sciences 14.10 (2013): 19774-19781. Iida, K., et al. “hypoxia-enhanced Derivation of ipscs from human Dental pulp cells.” Journal of dental research 92.10 (2013): 905-910. Lan, Chen-Wei, et al. “Differentiation of human embryonic stem cells into functional ovarian granulosa-like cells.” The Journal of Clinical Endocrinology & Metabolism 98.9 (2013): 3713-3723. Maeda, Tadao, et al. “Retinal pigmented epithelial cells obtained from human induced pluripotent stem cells possess functional visual cycle enzymes in vitro and in vivo.” Journal of Biological Chemistry 288.48 (2013): 34484-34493. Matsumoto, Yoshihisa, et al. “Induced pluripotent stem cells from patients with human fibrodysplasia ossificans progressiva show increased mineralization and cartilage formation.” Orphanet journal of rare diseases 8.1 (2013): 190. Nasu, Akira, et al. “Genetically matched human iPS cells reveal that propensity for cartilage and bone differentiation differs with clones, not cell type of origin.” PloS one 8.1 (2013): e53771. Noguchi, Michio, et al. “In vitro characterization and engraftment of adipocytes derived from human induced pluripotent stem cells and embryonic stem cells.” Stem cells and development 22.21 (2013): 2895-2905. Okita, Keisuke, et al. “An Efficient Nonviral Method to Generate Integration‐Free Human‐Induced Pluripotent Stem Cells from Cord Blood and Peripheral Blood Cells.” Stem Cells 31.3 (2013): 458-466. Takase, Osamu, et al. “The Role of NF-κB Signaling in the Maintenance of Pluripotency of Human Induced Pluripotent Stem Cells.” PloS one 8.2 (2013): e56399. Tanabe, Koji, et al. “INAUGURAL ARTICLE by a Recently Elected Academy Member: Maturation, not initiation, is the major roadblock during reprogramming toward pluripotency from human fibroblasts.” Proceedings of the National Academy of Sciences of the United States of America 110.30 (2013): 12172. Tanabe, Koji, et al. “Maturation, not initiation, is the major roadblock during reprogramming toward pluripotency from human fibroblasts.” Proceedings of the National Academy of Sciences 110.30 (2013): 12172-12179. Tanaka, Akihito, et al. “Efficient and reproducible myogenic differentiation from human iPS cells: prospects for modeling Miyoshi Myopathy in vitro.” PloS one 8.4 (2013): e61540. Fujikura, J., et al. “Induced pluripotent stem cells generated from diabetic patients with mitochondrial DNA A3243G mutation.” Diabetologia 55.6 (2012): 1689-1698. Jung, Dongju, et al. “Incorporation of functionalized gold nanoparticles into nanofibers for enhanced attachment and differentiation of mammalian cells.” Journal of nanobiotechnology 10.1 (2012): 1-10. Kajiwara, Masatoshi, et al. “Donor-dependent variations in hepatic differentiation from human-induced pluripotent stem cells.” Proceedings of the National Academy of Sciences 109.31 (2012): 12538-12543. Kunisada, Yuya, et al. “Small molecules induce efficient differentiation into insulin-producing cells from human induced pluripotent stem cells.” Stem cell research 8.2 (2012): 274-284. Kuroda, Takuya, et al. “Highly sensitive in vitro methods for detection of residual undifferentiated cells in retinal pigment epithelial cells derived from human iPS cells.” PloS one 7.5 (2012): e37342. Matsuura, Katsuhisa, et al. “Creation of human cardiac cell sheets using pluripotent stem cells.” Biochemical and biophysical research communications 425.2 (2012): 321-327. Nakahata, Tatsutoshi, et al. “Method for producing dendritic cells from pluripotent stem cells.” U.S. Patent Application 14/001,004. Nakamura, Naoko, et al. “Feeder-free and serum-free production of hepatocytes, cholangiocytes, and their proliferating progenitors from human pluripotent stem cells: application to liver-specific functional and cytotoxic assays.” Cellular Reprogramming (Formerly” Cloning and Stem Cells”) 14.2 (2012): 171-185. Okahara-Narita, Junko, et al. “Induction of pluripotent stem cells from fetal and adult cynomolgus monkey fibroblasts using four human transcription factors.” Primates 53.2 (2012): 205-213. Shinozawa, Tadahiro, et al. “A novel purification method of murine embryonic stem cell?and human-induced pluripotent stem cell?derived cardiomyocytes by simple manual dissociation.” Journal of biomolecular screening 17.5 (2012): 683-691. Shinozawa, Tadahiro, et al. “Determination of Appropriate Stage of Human-Induced Pluripotent Stem Cell?Derived Cardiomyocytes for Drug Screening and Pharmacological Evaluation In Vitro.” Journal of biomolecular screening 17.9 (2012): 1192-1203. Sonoyama, Takuhiro, et al. “Differentiation of human embryonic stem cells and human induced pluripotent stem cells into steroid-producing cells.” Endocrinology 153.9 (2012): 4336-4345. Tanaka, Takayuki, et al. “Induced pluripotent stem cells from CINCA syndrome patients as a model for dissecting somatic mosaicism and drug discovery.” Blood 120.6 (2012): 1299-1308. Wada, Tamaki, et al. “Amyotrophic lateral sclerosis model derived from human embryonic stem cells overexpressing mutant superoxide dismutase 1.” Stem cells translational medicine 1.5 (2012): 396-402. Wakao, Shohei, et al. “Morphologic and gene expression criteria for identifying human induced pluripotent stem cells.” PloS one 7.12 (2012): e48677. Wutz, Anton. “Epigenetic alterations in human pluripotent stem cells: a tale of two cultures.” Cell stem cell 11.1 (2012): 9-15. Iwabuchi, Kumiko A., et al. “ECAT11/L1td1 Is Enriched in ESCs and Rapidly Activated During iPSCGeneration, but It Is Dispensable for the Maintenance and Induction of Pluripotency.” PloS one 6.5 (2011): e20461. Kobayashi, Hideyuki. “Pluripotent Stem Cells Induced from Testicular Tissue of a Man with Klinefelter Syndrome (47, XXY) by Four Transcription Factors (OCT4, SOX2, KLF4, and C-MYC).” (2011). Maekawa, Momoko, et al. “Direct reprogramming of somatic cells is promoted by maternal transcription factor Glis1.” Nature 474.7350 (2011): 225-229. Ogawa, Shin-ichiro, et al. “Induction of oligodendrocyte differentiation from adult human fibroblast-derived induced pluripotent stem cells.” In Vitro Cellular & Developmental Biology-Animal 47.7 (2011): 464-469. Okita, Keisuke, et al. 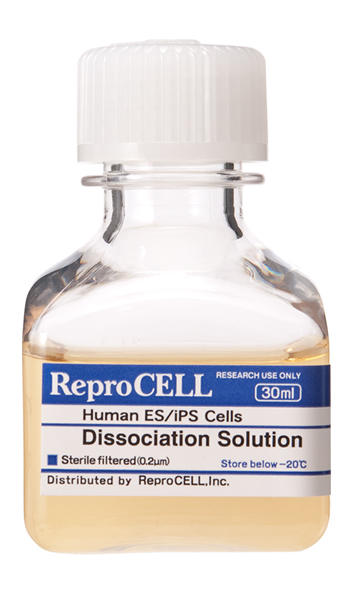 “A more efficient method to generate integration-free human iPS cells.” Nature methods 8.5 (2011): 409-412. Takata, Akemi, et al. “Direct differentiation of hepatic cells from human induced pluripotent stem cells using a limited number of cytokines.” Hepatology international 5.4 (2011): 890-898. Tatsumi, Rie, et al. “Simple and highly efficient method for production of endothelial cells from human embryonic stem cells.” Cell transplantation 20.9 (2011): 1423-1430. Yahata, Naoki, et al. “Anti-Aβ drug screening platform using human iPS cell-derived neurons for the treatment of Alzheimer’s disease.” PLoS One 6.9 (2011): e25788. Kazuki, Yasuhiro, et al. “Complete genetic correction of ips cells from Duchenne muscular dystrophy.” Molecular Therapy 18.2 (2010): 386-393. Lee, Tae-Hee, et al. “Functional recapitulation of smooth muscle cells via induced pluripotent stem cells from human aortic smooth muscle cells.” Circulation research 106.1 (2010): 120-128. Miyoshi, Keiko, et al. “Generation of human induced pluripotent stem cells from oral mucosa.” Journal of bioscience and bioengineering 110.3 (2010): 345-350. Otsuji, Tomomi G., et al. “Progressive maturation in contracting cardiomyocytes derived from human embryonic stem cells: Qualitative effects on electrophysiological responses to drugs.” Stem cell research 4.3 (2010): 201-213. Sakurai, Kenji, et al. “Efficient integration of transgenes into a defined locus in human embryonic stem cells.” Nucleic acids research 38.7 (2010): e96-e96. Tamaoki, N, et al. “Dental pulp cells for induced pluripotent stem cell banking.” Journal of dental research 89.8 (2010): 773-778. Oka, Y., et al. “293FT cells transduced with four transcription factors (OCT4, SOX2, NANOG, and LIN28) generate aberrant ES-like cells.” J Stem cell Regenerative Med 3 (2010): 149-56. Tamaoki, N., et al. “Dental pulp cells for induced pluripotent stem cell banking.”Journal of dental research 89.8 (2010): 773-778. Chen, Hsin-Fu, et al. “A reduced oxygen tension (5%) is not beneficial for maintaining human embryonic stem cells in the undifferentiated state with short splitting intervals.” Human Reproduction 24.1 (2009): 71-80. Hong, Hyenjong, et al. “Suppression of induced pluripotent stem cell generation by the p53?p21 pathway.” Nature 460.7259 (2009): 1132-1135. Ohnuki, Mari, Kazutoshi Takahashi, and Shinya Yamanaka. “Generation and characterization of human induced pluripotent stem cells.” Current protocols in stem cell biology (2009): 4A-2. Wada, Tamaki, et al. “Highly efficient differentiation and enrichment of spinal motor neurons derived from human and monkey embryonic stem cells.” PloS one 4.8 (2009): e6722. Fusaki, Noemi, et al. “Efficient induction of transgene-free human pluripotent stem cells using a vector based on Sendai virus, an RNA virus that does not integrate into the host genome.” Proceedings of the Japan Academy. Series B, Physical and biological sciences 85.8 (2008): 348-362. Takahashi, Kazutoshi, et al. “Induction of pluripotent stem cells from adult human fibroblasts by defined factors.” cell 131.5 (2007): 861-872. Thiel A et al.,"Human embryonic stem cell-derived mesenchymal cells preserve kidney function and extend lifespan in NZB/W F1 mouse model of lupus nephritis." Sci Rep. 2015 Dec2;5:17685. doi: 10.1038/srep17685.